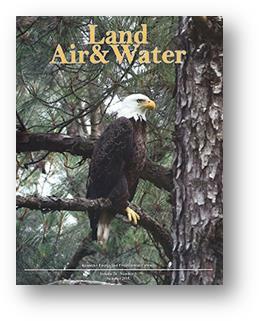 The summer 2015 issue of Land, Air & Water is now available for download at http://eec.ky.gov/Pages/LandAirWater.aspx. American bald eagle, photographed by Todd Hendricks near Kentucky Lake. Hendricks works in the Waste Management Division. continued efforts to protect the environment. Among them, some innovative ways that our cabinet uses to investigate arson wildfire cases and new techniques for targeting and detecting harmful algal blooms in our lakes and streams. 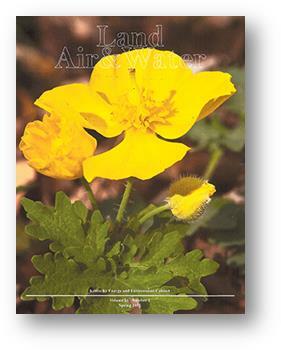 The cover features a Celandine poppy (Stylophorum diphyllum) photographed by Harold Kelley. 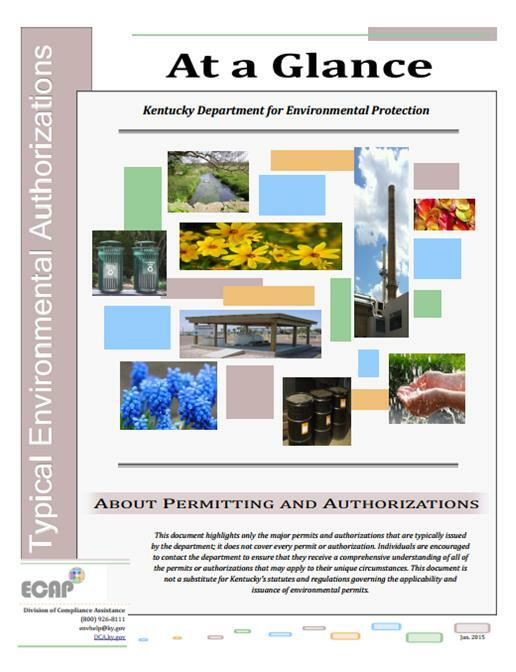 The Spring 2015 issue is available for download at http://eec.ky.gov/Pages/LandAirWater.aspx. On the inside cover, Secretary Peters summarizes the 2015 session of the General Assembly. Although the cabinet had fewer bills than in past sessions, it did see the passage of an important piece of legislation – modernizing the state’s oil and gas statutes. The legislation brings the statutes up to the 21st century and addresses oil and gas production, including hydraulic fracturing, that will help the industry to grow while protecting human health and the environment. Natural gas is an important and growing energy source nationwide, and is a significant component of the U.S. EPA’s Clean Power Plan. 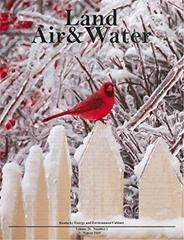 The fall issue of Land, Air & Water is available for download at http://eec.ky.gov/Pages/LandAirWater.aspx.